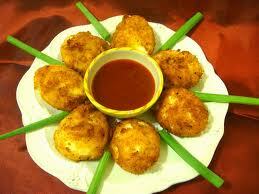 Eggs are invaluable daily food throughout the world .Birds Egg are a common food source. Most of people eat Chicken, Duck and Goose eggs.Eggs are inexpensive super food which contains large amounts of protein, amino acids, vitamins and minerals. Some scientific researches are suggesting eggs to be eaten by everybody with their regular food. It gives better results if you drink a glass of milk followed by eating 2 eggs every morning. 2) People who eat eggs every day decreases their risk of developing cataracts, also because of the lutein and zeaxanthin in eggs. 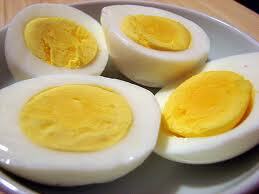 3) Eggs are the best source of complete proteins which contains all essential amino acids for human body. One egg contains 6 gm of protein and 9 amino acids. 4) Rich in Choline : Choline is your diet is essential for the prevention of many diseases,a nd it prmotes the function of body cells, brain and nervous system as well as metabolism in the liver. 5) They contain the right kind of fat. One egg contains just 5 grams of fat and only 1.5 grams of saturated fat. 7) Prevent Breast Cancer : A study found that who consumed at least 6 eggs per week have 44% less risk of developing breast cancer. 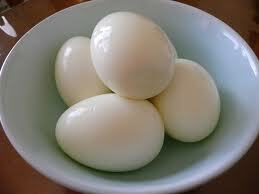 8) Eggs promote healthy hair and nails because of their high sulphur content and wide array of vitamins and minerals. 9) Prevent Blood Clots: Eating eggs amy help reduce the risk of heart attack and stroke by preventing blood clots. An important antioxidant called selenium found in eggs inhibit clot formation in a dose-dependent. 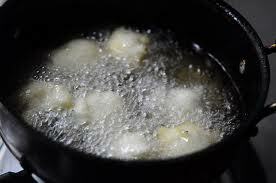 1) Boil the eggs in water till 20 mins then change the water and remove shell. 2) Cut the each egg into 2 or 4 pieces. Or whole egg as a piece. 3) Take a cup add red chilli powder, salt, turmeric, cumin powder, coriander powder, crushed curry leaves(chopped very finely), ginger garlic paste and one tb spoon oil. 4) Mix then evenly and apply only egg pieces then keep them aside and allow it for marination. 5) Meanwhile take 2 cups chana flour and add little salt and pepper to it then make thick dough such that it should stick to egg pieces evenly like a layer. 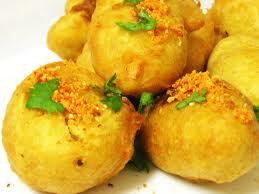 6) Heat oil and deep fry them till dark yellow (golden). 7) Drop them on paper towel to remove extra oil. 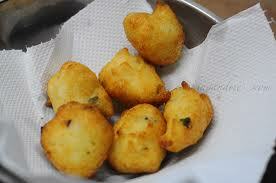 8) Enjoy it with green sauce or tomato sauce or you can eat directly with some chat masala..